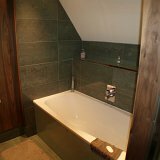 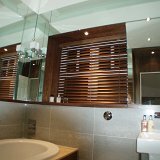 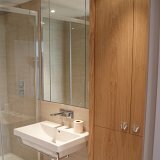 We can create for you your very own sensuous en-suite bathroom or a more practical family fun bathroom. 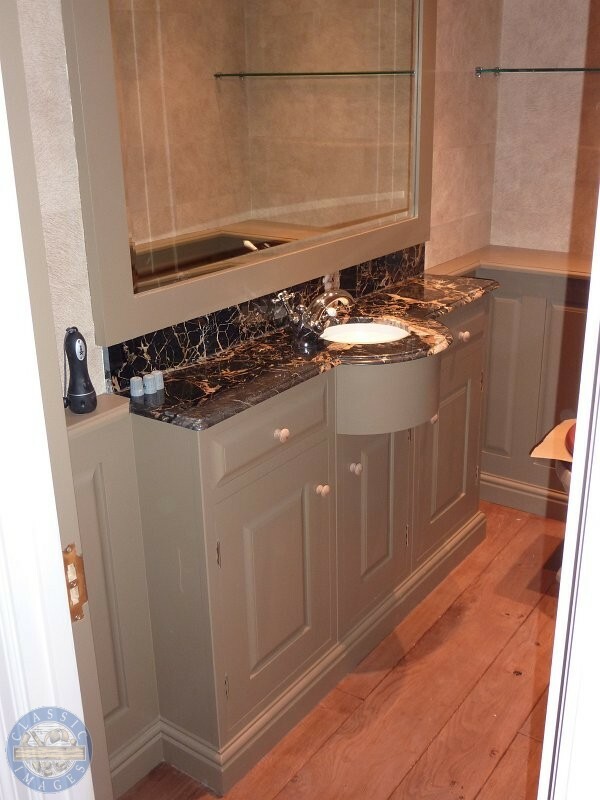 Our vanity and medicine units can be made in a modern or traditional style, to your design or drawn and designed by ourselves. 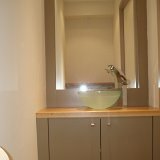 They could be made from timber, laminate or a sprayed painted finish. 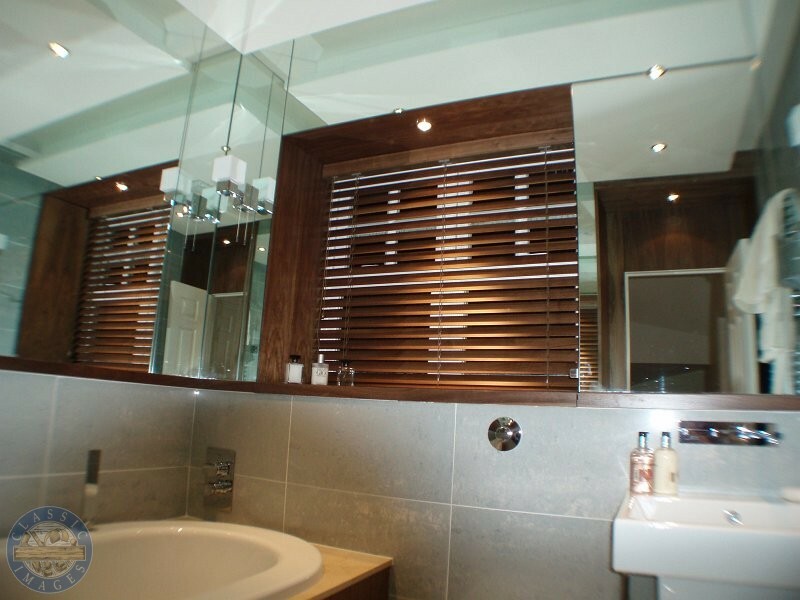 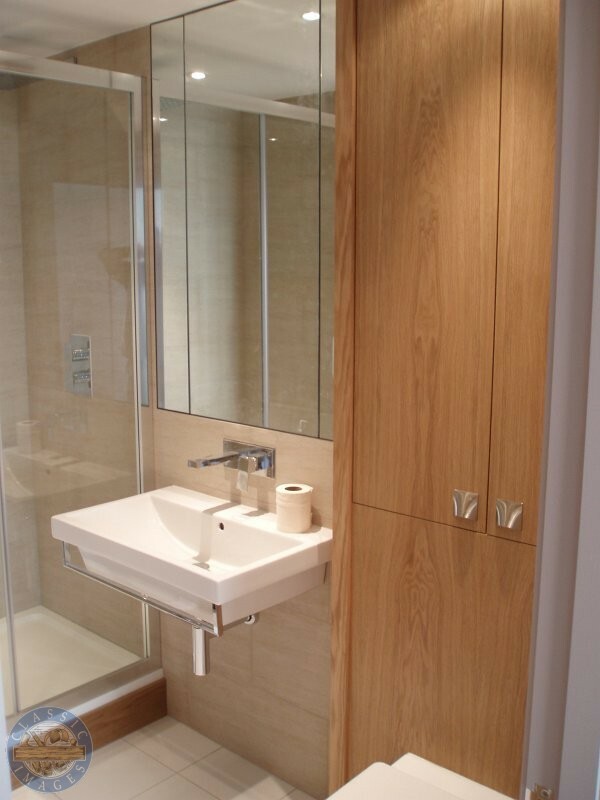 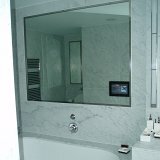 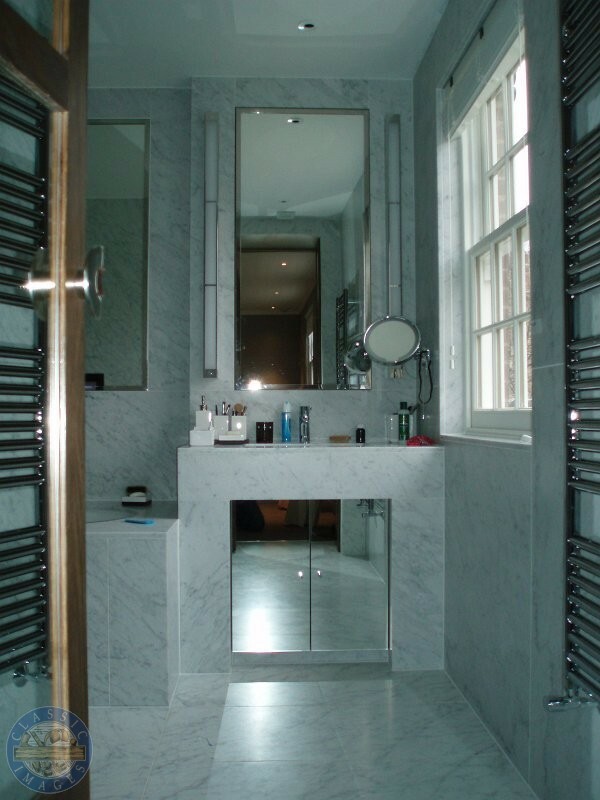 For the modern bathroom we can incorporate stainless steel frame doors and mirror frames. 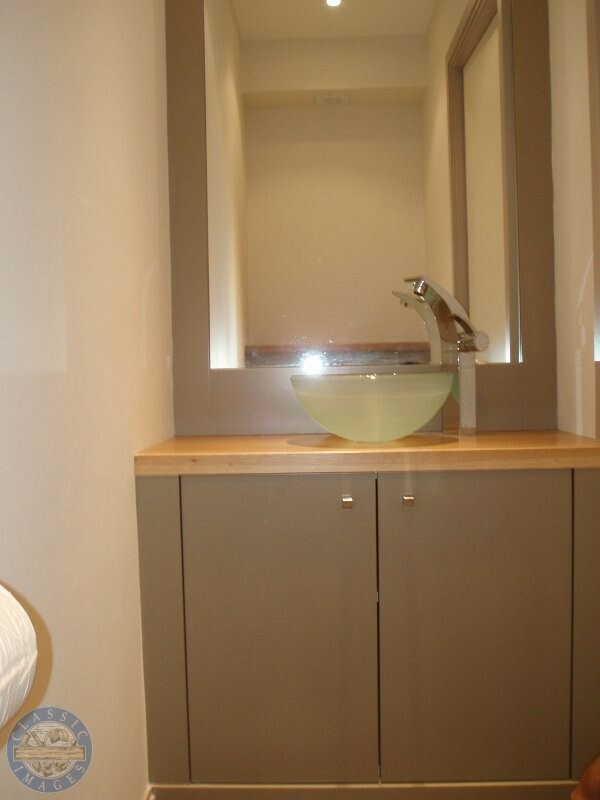 We can supply and advise you on the best stone or marble to be used or supply and fit, corian worktops and sinks. 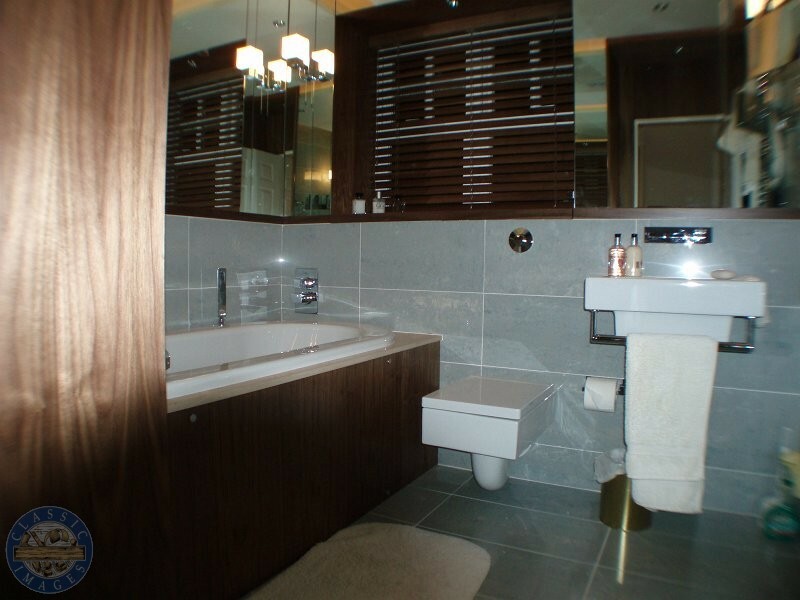 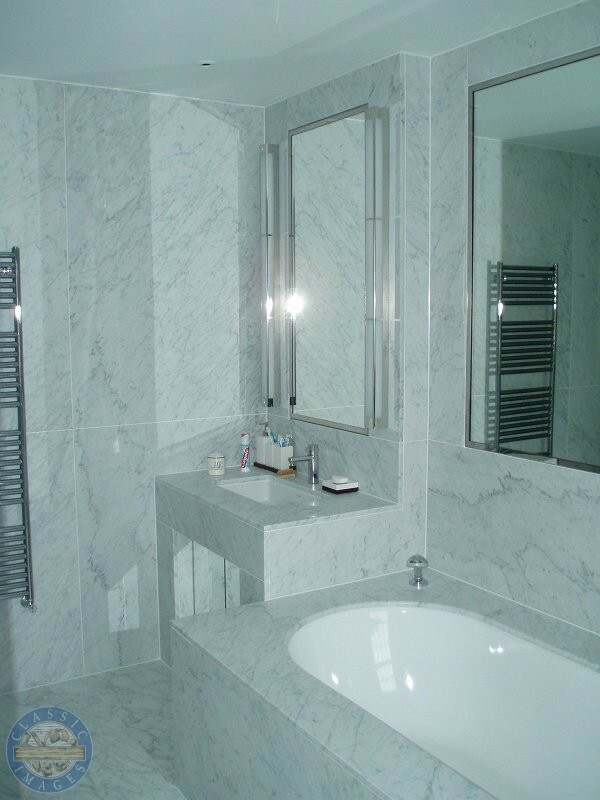 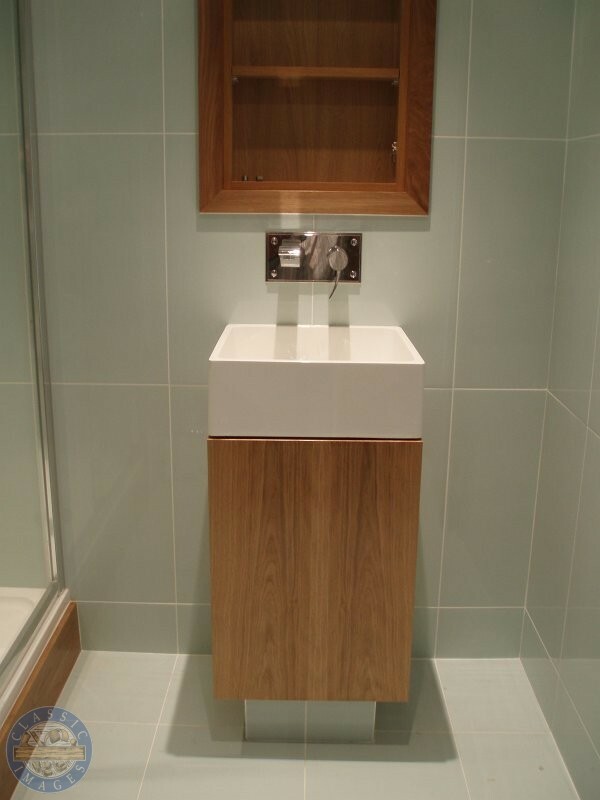 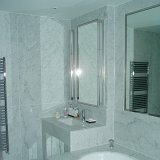 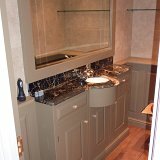 Below are some recent examples of bathrooms that we have fitted. 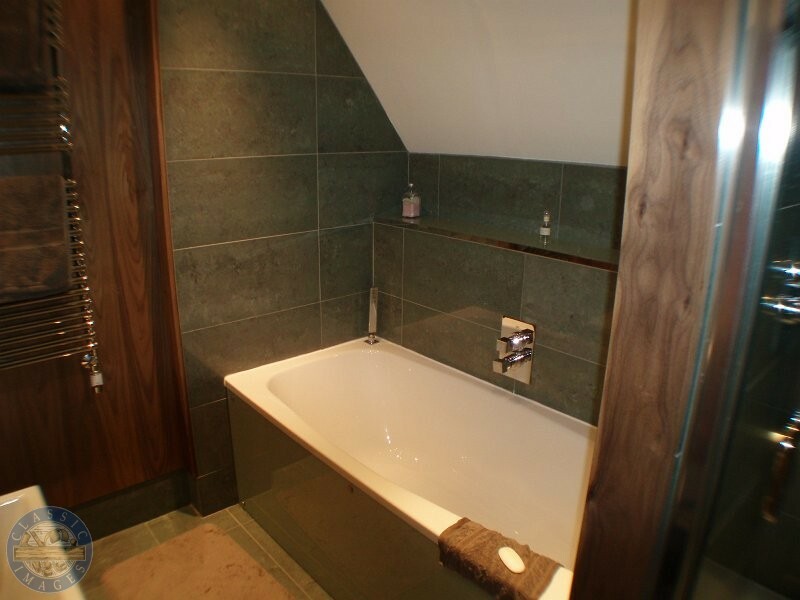 My wife and I are delighted with our new bathroom and now that I have decorated it it looks even better. 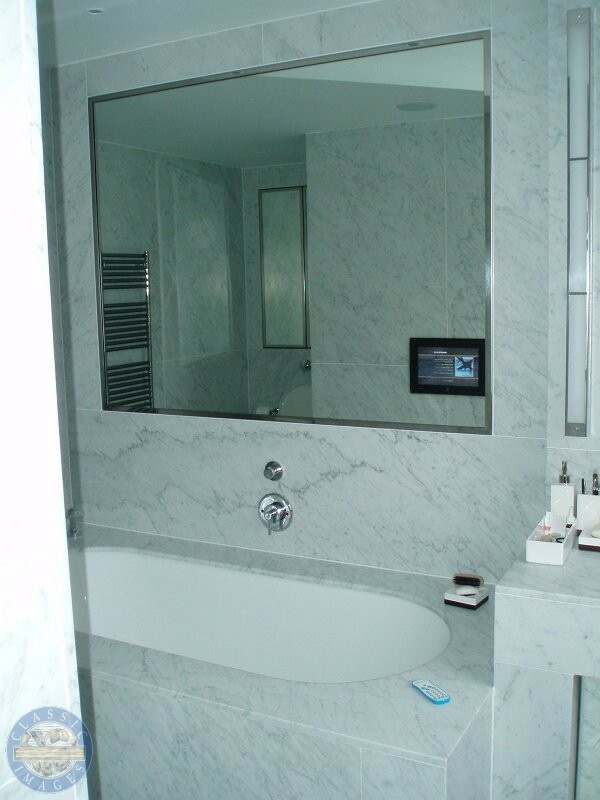 Thanks for doing a very thorough and professional job. 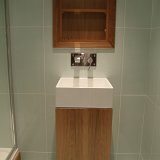 I shall certainly recommend your services to others.